This policy applies to the Web site of the South Kansas City Surgicenter, www.skcsurgicenter.com. The South Kansas City Surgicenter has provided information in the Site for informational purposes only and has a right to alter it at any time. 3. Copyright; Trademarks and Services Marks. All materials, Web pages or graphic images contained in the Site are the copyrighted property of the South Kansas City Surgicenter (or its subsidiaries or affiliated companies) and/or third-party licensors. All trademarks, service marks, trade names, and trade dress are proprietary to the South Kansas City Surgicenter, its affiliates or licensees. Publication of materials on the Site by the South Kansas City Surgicenter does not constitute the placing of such materials in the public domain. No license, assignment, or permission is granted herein, expressly, impliedly, or by estoppel or otherwise to use any trade name, trademark or service mark of the South Kansas City Surgicenter or any of the copyrighted materials or the materials of any other party. For more information about the South Kansas City Surgicenter copyrights, trademarks and service marks, please contact the South Kansas City Surgicenter (913) 901-9000. 4. Permission to Print, Copy and Download; Fair Use. Permission to print, copy or download documents or graphics from this Site is granted for personal, informational and non-commercial use only and is expressly conditioned upon your agreement to the following conditions. Except where your use constitutes “fair use” under copyright law, you may not otherwise use, download, upload, copy, print, display, perform, reproduce, publish, license, post, transmit or distribute any information from this Site in whole or in part without the express authorization of the South Kansas City Surgicenter. All prints, or copies or downloaded materials shall contain or refer to the copyright and other intellectual property notices provided in this Site. Documents or graphics from this Site may not be modified or altered in any way. No permission is granted to print and copy or download materials created by parties other than the South Kansas City Surgicenter and appearing on this Site, unless so indicated and subject to the restrictions indicated. 5. Warranty Disclaimer and Exclusion. 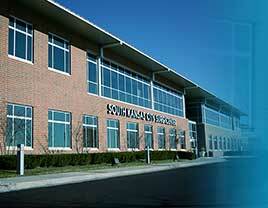 The South Kansas City Surgicenter provides the information on the Site, including content or information contained in the Site (or the Site related services) in an “AS IS,” “WHERE IS,” and “AS AVAILABLE” condition without representations or warranties of any kind, including express or implied warranties with respect to the timeliness, accuracy, completeness, non-infringement, fitness for a particular purpose, merchantability or suitability. We do not warrant that use of the Site will be uninterrupted or error free and that the services from which such materials are available will be free from viruses or other harmful components. 6. Indemnification; Exclusion of Damages. Should any user of the South Kansas City Surgicenter Web site or viewer of documents or graphics copied or printed therefrom communicate with the South Kansas City Surgicenter about the Site, or the documents, graphics or information contained therein, the South Kansas City Surgicenter shall have no obligation of any kind with respect to such communications, which shall be deemed non-confidential, and the South Kansas City Surgicenter shall be free to use and distribute the information contained in such communication for any purpose whatsoever, unless the South Kansas City Surgicenter and the party responding otherwise agree in writing.